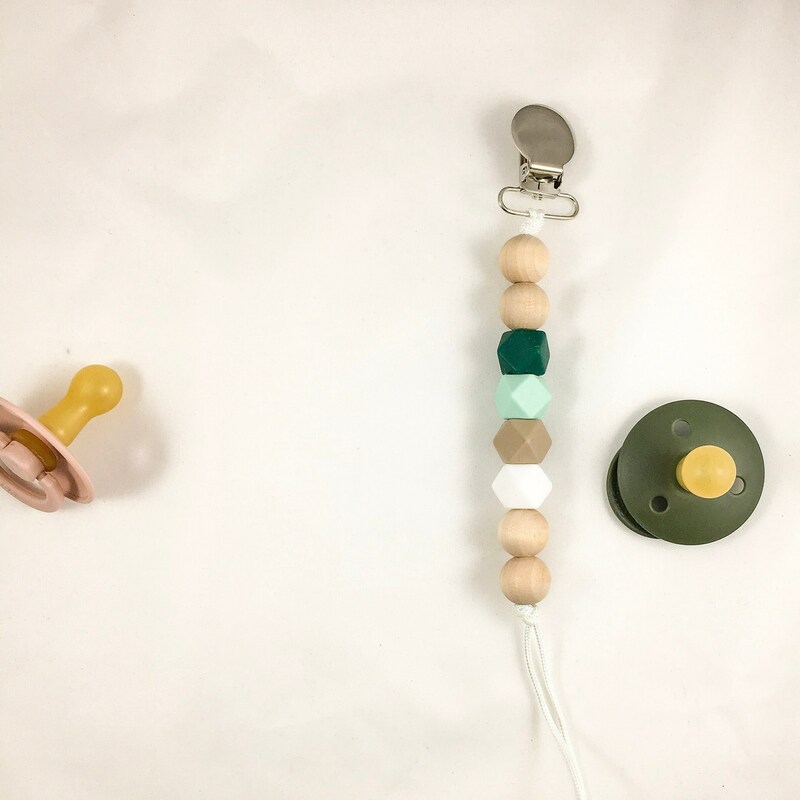 Keep your darlings pacifier off the floor and in close proximity with our NEW SILICONE PACIFIER CLIPS. All clips are made with strong nylon cording and a lead free metal clasp, all chosen and made with safety as the first priority. 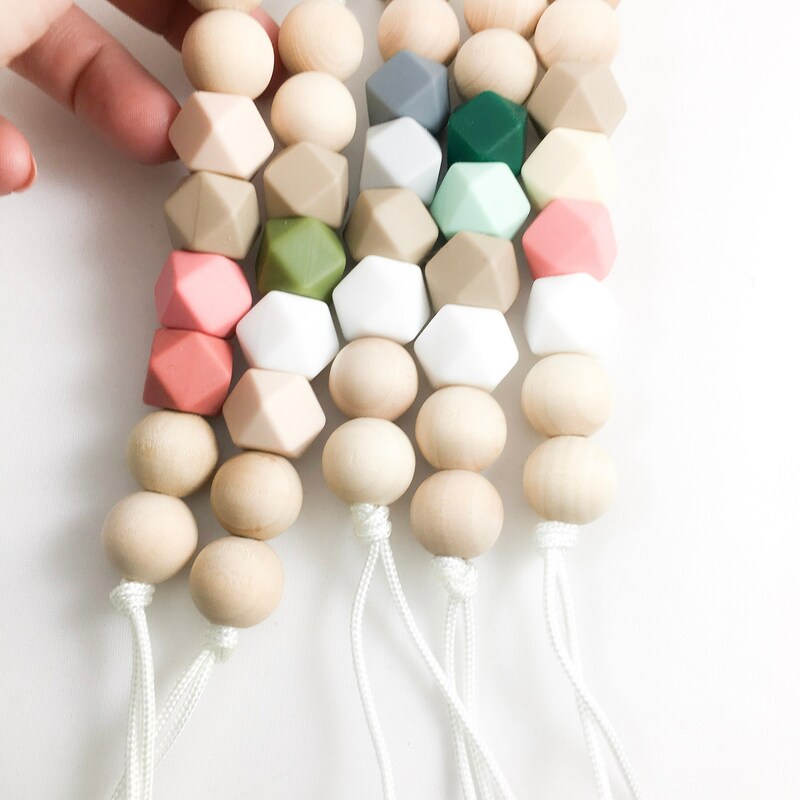 4 food grade silicone beads, and 4 unfinished wooden beads. Clip is approximately 9 inches in length from tip of clasp to end of loop. 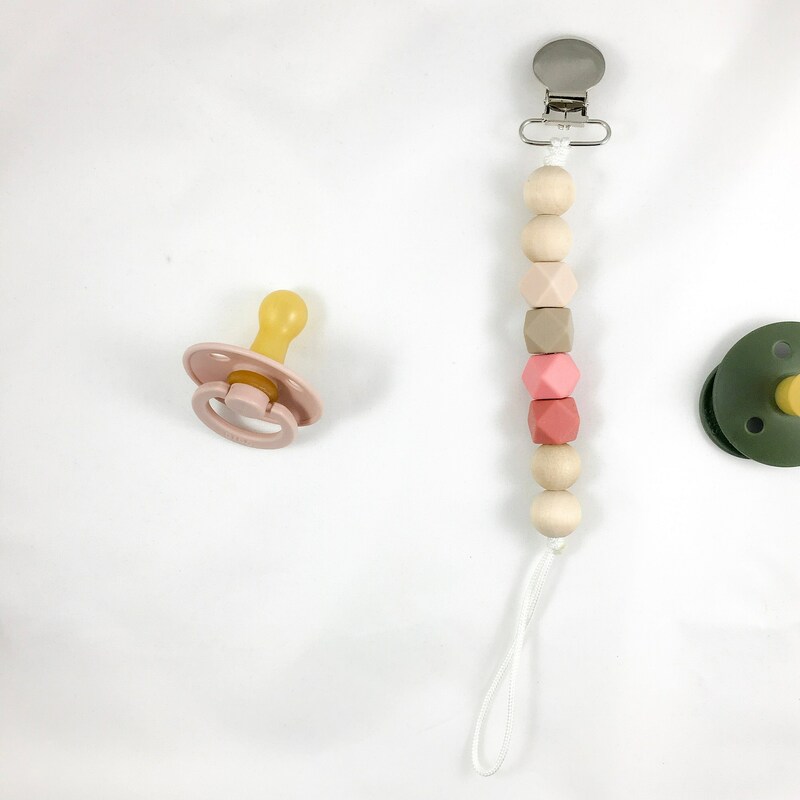 Silicone beads are North American made and certified food grade silicone that have passed all safety tests for children jewelry. 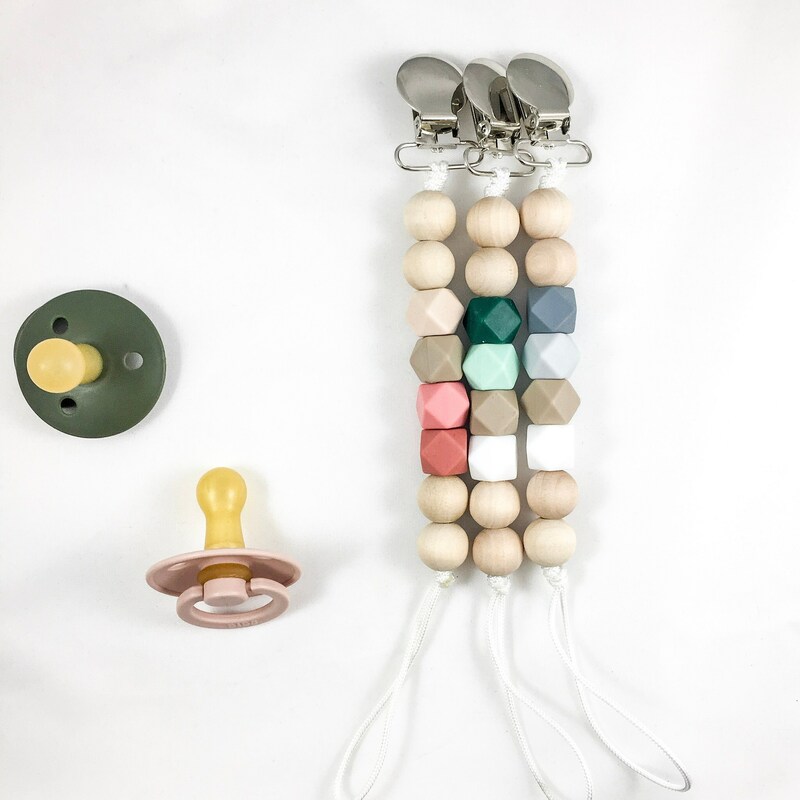 Wooden beads accentuating the clip are US sourced and uncoated/raw. All properties of the clip are BPA free, lead free, PVC free, mercury free, odorless, ecofriendly, and easy to clean. 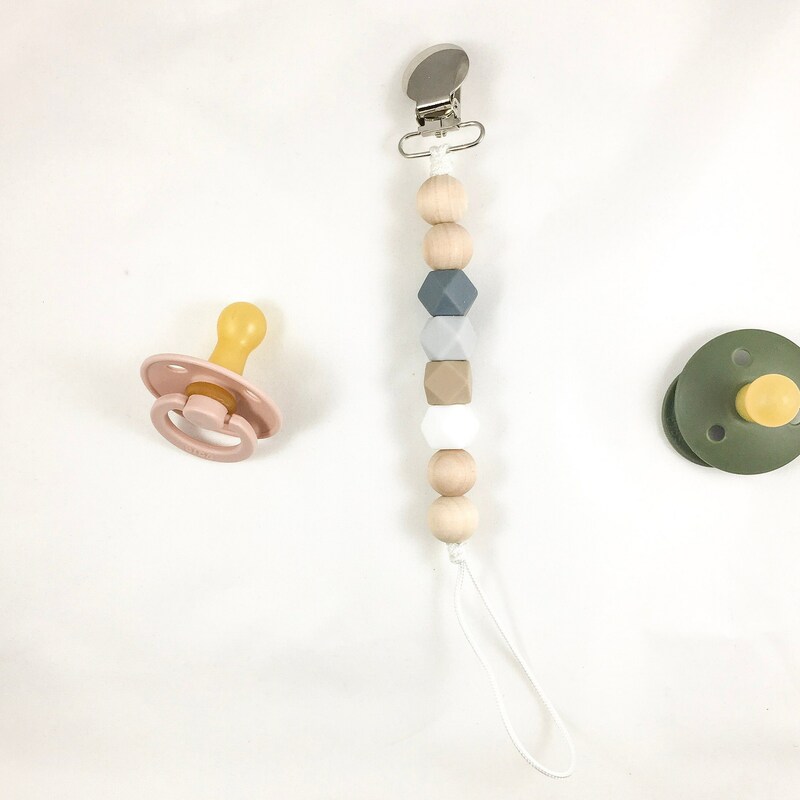 Thank you for shopping NomiLu! Check us out and follow on IG @nomilumade to keep tabs on new products, giveaways, and coupon codes.